Ceres is a dwarf planet almost 1000 km in diameter and its density is relatively low. 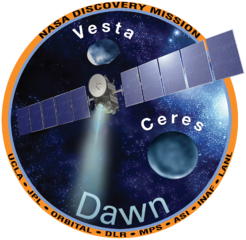 We assumed that Ceres was relatively rich in water, and the space probe Dawn confirmed it during its flights over Ceres from 2015, with its spectrometers. The discovery of ammonia reinforces the hypothesis of Ceres creation in the external solar system. Ceres probably formed beyond Neptune before migrating into the solar system. 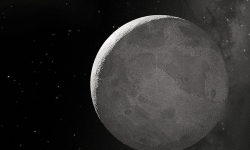 The dwarf planet has a differentiated structure, it has a rocky core and an ice mantle. Ceres seems relatively active. Its ice sublimates and condenses according to its distance from the sun, which modifies its morphology. It also allows the dwarf planet to have a thin atmosphere composed of water vapor. 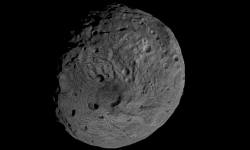 The dwarf planet has several very bright tasks, especially in the Occator crater. The Dawn space probe determined that these tasks are deposits of sodium carbonate and ammonium chloride. These compounds are usually created in the presence of liquid water, so we believe that brine has boiled in contact with the vacuum space. This phenomena is very recent on the geological scale, it dates from a few million years. But we don’t know how deep the water reservoirs would be located, or whether Ceres has an ocean or contains pockets of liquid water. The Dawn space probe switched off before it could answer these questions.